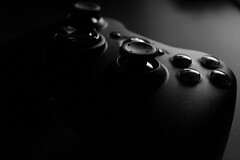 Groups | Microsoft Xbox 360 Black controller | Flickr - Photo Sharing! Flickr groups are where people of like minds get together to form a... well, a group. These can be centered around interests (Extreme Knitting, Judy Garland Memorabilia), regions (Vancouver, Deep South), or anything else really. Each has its own homepage and discussion board. For more on groups, see our Groups FAQs.